London, United Kingdom: In a statement issued today, the Executive Board announced that Suriname had gained the permanent membership of the International Youth Federation. 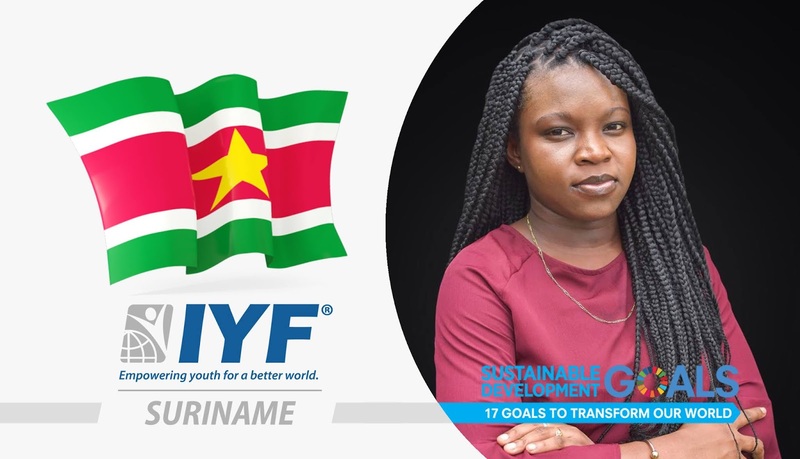 Our vision at the IYF is to enable the young people in Suriname to get their voices heard and giving talented and motivated young people the opportunity to acquire the skills and knowledge to actively contribute to the development of their societies. Ms. Zaviska is a young leader, youth advocate and activist passionate about youth development. Besides concentrating on her educational career, she has been a volunteer in several organizations among which the Youth Advisory Group of the United Nation Population Fund and the Millennium Development Goals Youth Ambassadors programme; and now in the Sustainable Development Goals Youth Ambassadors program. She strongly believes that by ‘leaving no one behind’ we can make this world a better place. A place where every individual gets the opportunity to gain their full potential. Ms. Zaviska holds a Bachelor’s degree in law from the University of Suriname.